Right now, 90% of seafood harvested in the U.S. is exported. We import 80% of what we consume. Rob Seitz is a commercial fisherman, entrepreneur, and poet. From 1992-2011 he fished Dungeness crab, pink shrimp, and Albacore, out of Astoria, Oregon. However, trawl fish was his bread and butter. In his own words, Mr. Seitz ‘lacked the good sense exhibited by a rat aboard a sinking ship’ and rode along with the trawl industry as it downward spiraled in the late 90's. This experience mobilized him to engage in non-traditional partnerships in the hopes of contributing to sustainable fisheries and fishing communities. 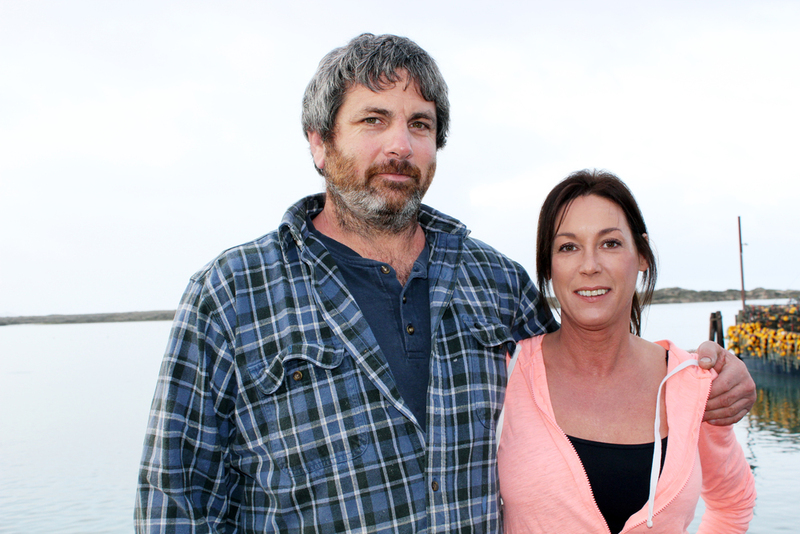 He and his wife Tiffani to packed up their family and moved to Morro Bay with the drive to establish sustainable fisheries. Today, Mr. Seitz owns and operates the F/V South Bay, a 56-foot trawler. Rob lands thousands of pounds of Petrale Sole, Dover Sole, Rockfish, Ling Cod and Thorneyheads into Morro Bay each year. He founded the South Bay Wild Corporation with his wife Tiffani in order to give the fisherman power over his product and improve efficiency in the seafood supply chain. Mr. Seitz has written and published a short book of poetry and prose that chronicles his life as a commercial fisherman. He is a regular participant in Astoria’s Fisherpoets Gathering, which is held the last weekend in February annually. He will be a headliner at The Working Waterfront Festival in New Bedford, MA at the end of September. Tiffani is a recent transplant to the Central Coast. Her father lived here during her teen years, and frequent visits made relocating to the sun a primary objective. Tiffani and her husband Rob are no strangers to small coastal communities and the struggles that commercial fishermen face. The family lived in Astoria Oregon where Rob trawled, crabbed and participated in the pacific whiting fisheries for twenty years. Tiffani is a graduate of Clatsop Community College in Astoria Oregon with an AWS Entry level Welder Certificate. She taught beginning welding at CCC to local high school students..
Tiffani is a Board of Director for the Central Coast Woman for Fisheries and will continue to be a member when she returns to Astoria, Oregon in June 2017. Jentry was born in Seaside, Oregon in 1989. When he was 11, he started spending summer working with his uncle cutting firewood, landscaping, and building pole buildings. Jentry Graduated in 2007 and moved to Rainier Oregon to continue working with his uncle. In 2010, Jentry moved back to the Oregon Coast where he started his career in fishing. He fished out of Chinook Washington on a small boat for Blackcod and Albacore Tuna. 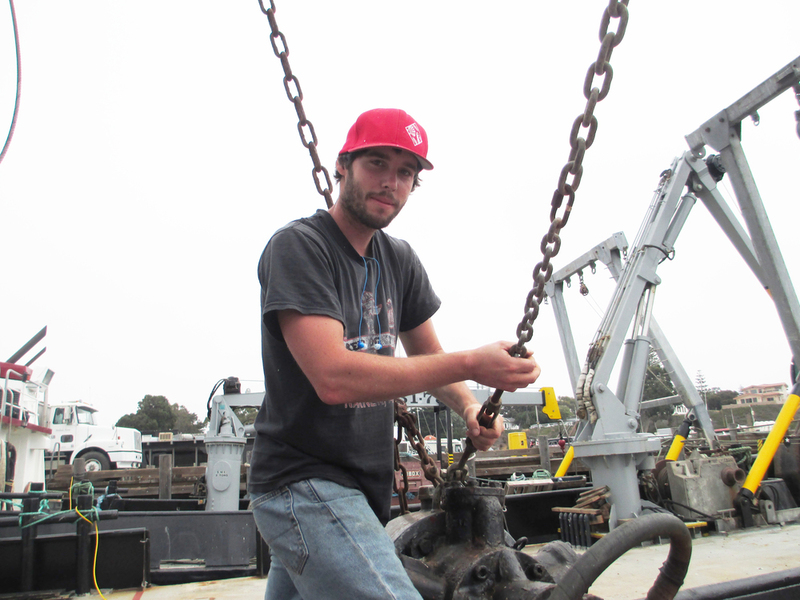 In October 2012, Jentry moved to Los Osos California where he started fishing on the South Bay with his stepfather, who is teaching him the trade of commercial fishing the way he learned it from his Grandfather.